Logan Peterson has called me out on my failure to mention that in addition to Heroes in Crisis #3, Booster Gold also appeared last week in two additional comics! 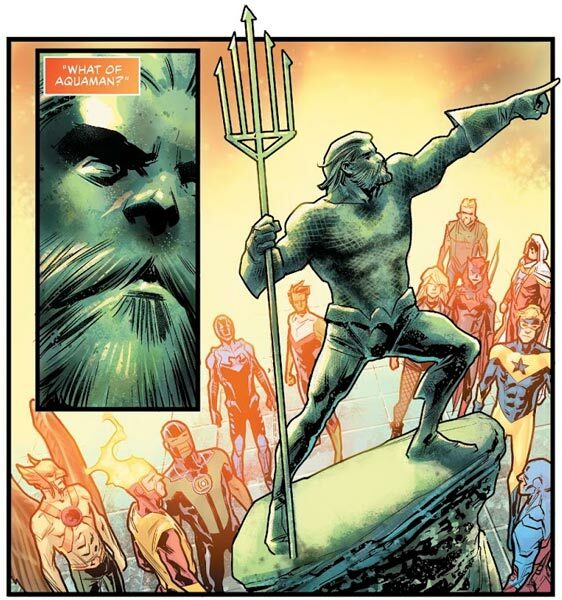 First was Aquaman/Justice League: Drowned Earth Special #1, where our hero can bee seen among the Leaguers admiring the new Aquaman statue. 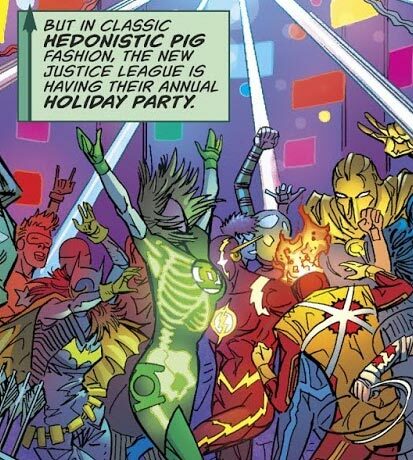 Second, Booster is barely visible on the dance floor in the story "The Birds of Christmas Past, Present, and Future" in DC Nuclear Winter Special #1. As you can see, both were cameo appearances rather than the starring role Booster has in HiC, but any Booster is good Booster! Thanks, Logan. If Booster Gold stole two super powers and then stole five more, how many super powers has he taken in all? If there were four villains, and Booster Gold defeated four of them, how many villains remain?